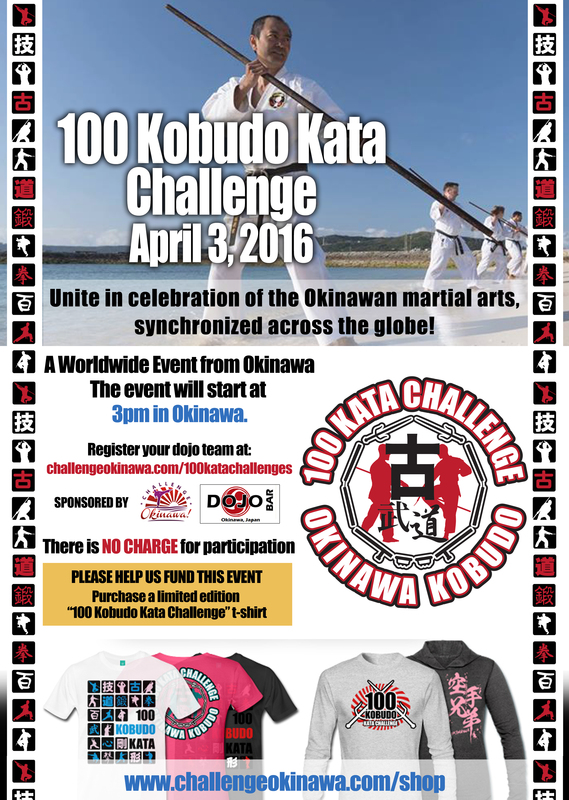 A worldwide martial arts event led from Okinawa, the birthplace of karate and kobudo. 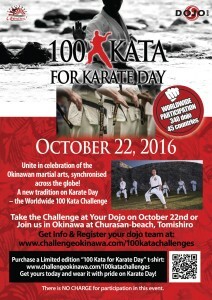 A kata demonstration event open to all styles and dojos, that has become a global celebration of Okinawa martial arts – ‘Karate Day’ in Okinawa. 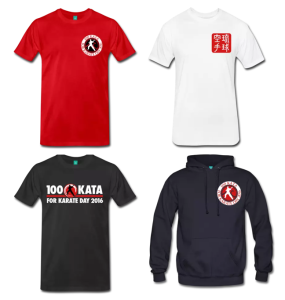 Inspired by the classic karate phrase – 百練剛- “Train hard 100 times”, over 5000 people worldwide completed the 100 kata performance starting at sunrise in Okinawa on Karate Day (October 25th) in 2014 and in 2015. Its simple – just select a kata to perform for 100 repetitions. Its up to you whether you select an easy or advanced kata – it’s your challenge! 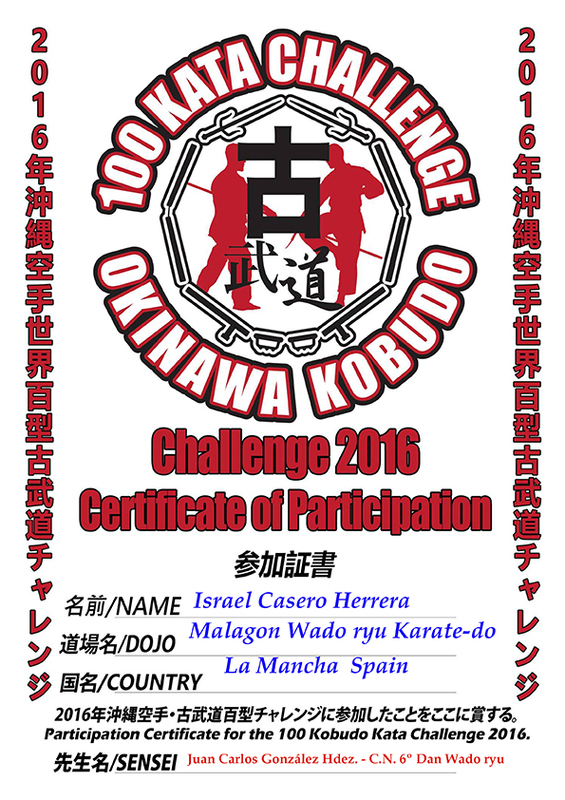 Thank you to the 286 dojo worldwide that registered and took on the 2016 100 Karate Kata challenge. 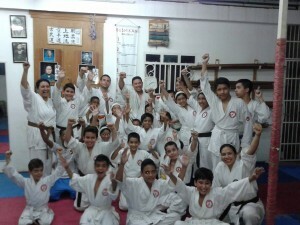 That’s an estimated 3000+ karateka who successfully completed 100 Kata of their choice in celebration of Karate Day. Your pictures and videos poured in following the event and we have collected these together into our 2016 Gallery for your enjoyment. 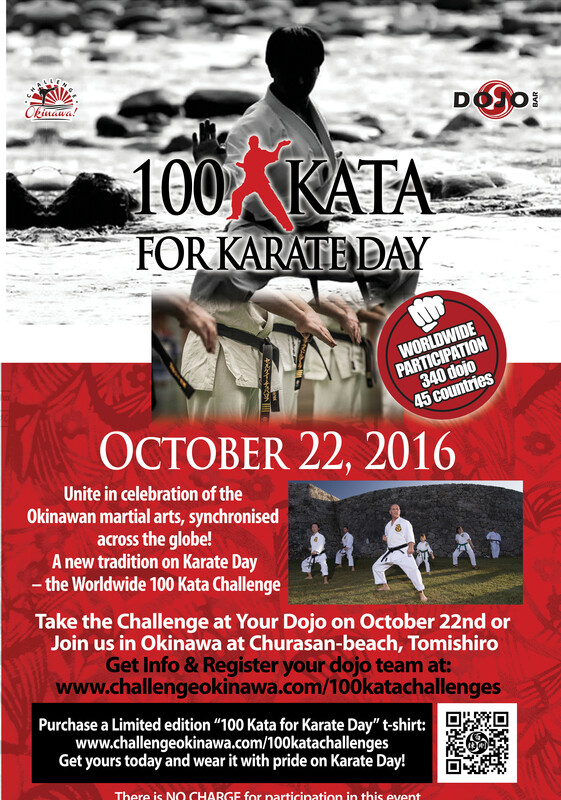 The Kata Challenge events aim to maximise participation and celebration of this global day of karate. 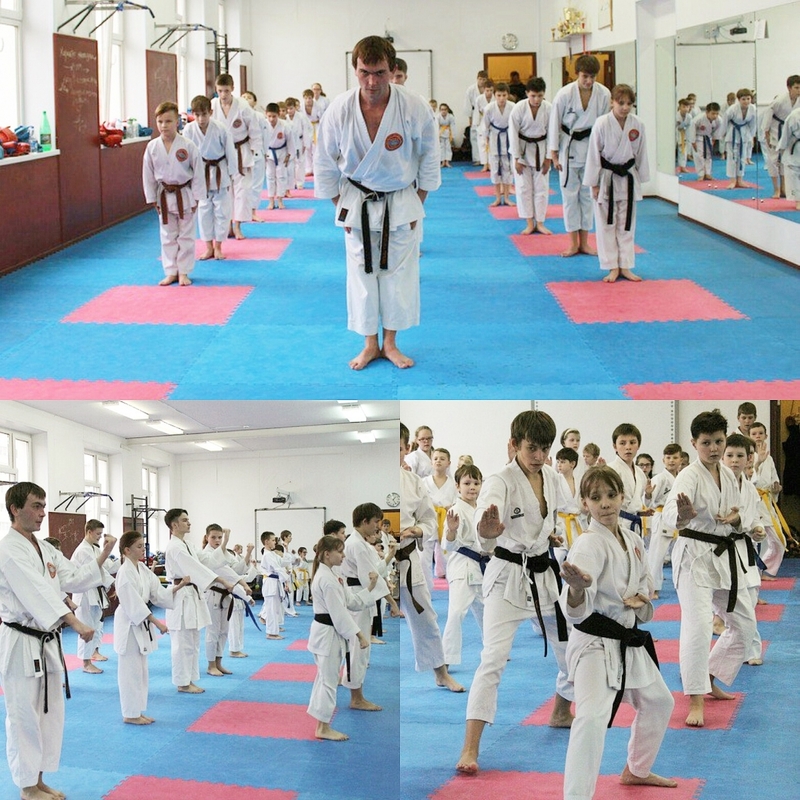 Its simple – just select a kata to perform for 100 repetitions. 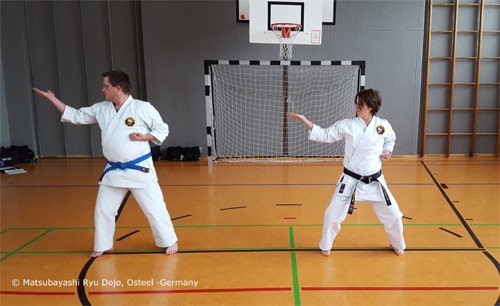 Its up to you whether you select an easy or advanced kata – it’s your challenge! 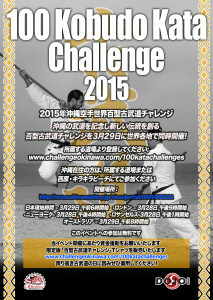 Every year thousands of people join each other in the challenge and share in the achievement. 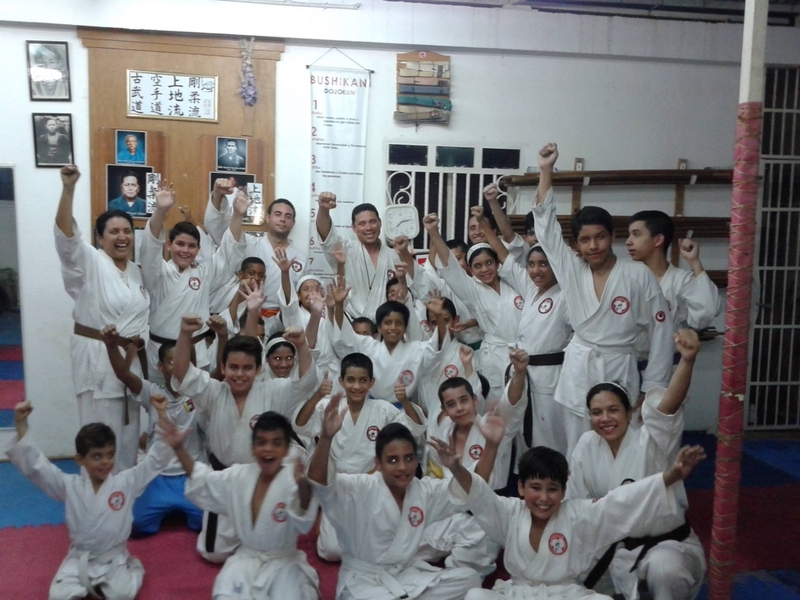 As they say in Okinawa – ‘Ichariba chodei’ , “once we meet we are all brothers and sisters. Last year, in Okinawa on October 25th 2015 the event once again took place inside the grounds of Zakimi Castle Site, located in Yomitan village. 162 participants enjoyed taking on the 100 Kata Challenge including many kids. Check out the stunning aerial photography in the video below – many thanks to Fotoshisa for the production. 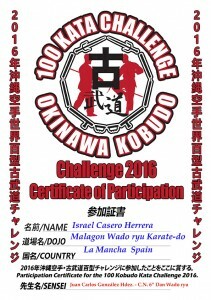 IN 2015 we had a WORLDWIDE PARTICIPATION of 340 dojo including more than 5000 people from 45 countries completed the 100 Kata challenge!!! 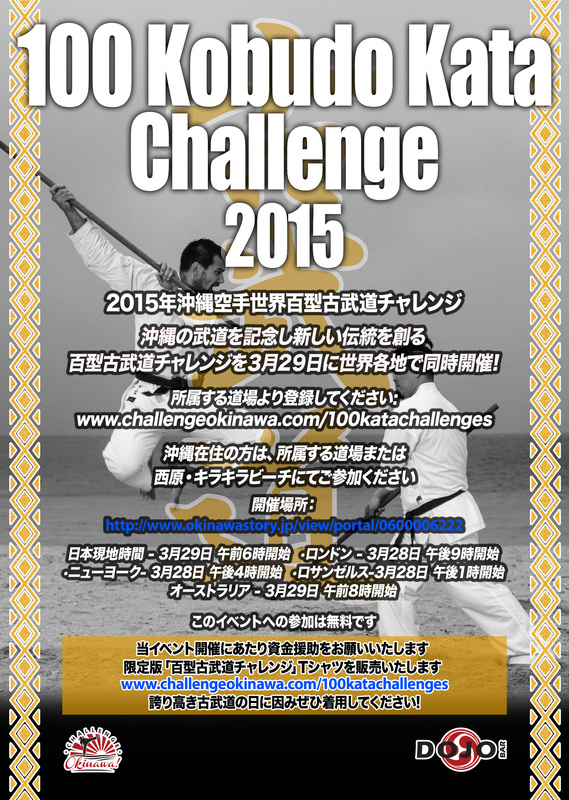 In 2014, over 300 dojo including an estimated 5000+ people from 44 countries completed the 100 Kata challenge. 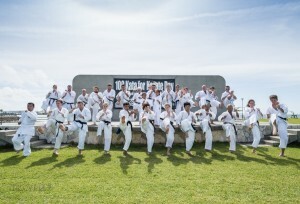 Click on the links below for images and video from the 100 Kata Challengers from around the world. Registrations for 2016 are not open yet (we will open registration in May). Please stay tuned for updates. To see a list of all the people who completed the challenge in 2015, please click here. 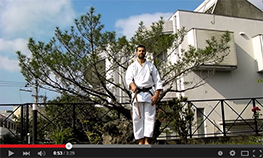 Check out the 2016 100 Karate Kata Challenge video from Okinawa. Huge thanks to Tech Ninja Productions for this fantastic video production. T-shirts, hoodies, jackets and more – visit our shop! 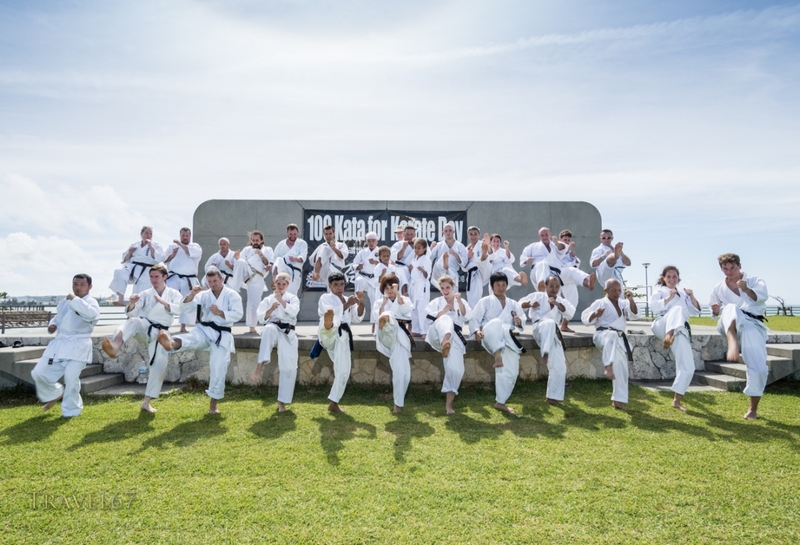 Inspired by the Japanese phrase – 百練剛- “Train hard 100 times”, around 150 people completed the 100 kata performance starting at sunrise in Okinawa on Karate Day 2014. 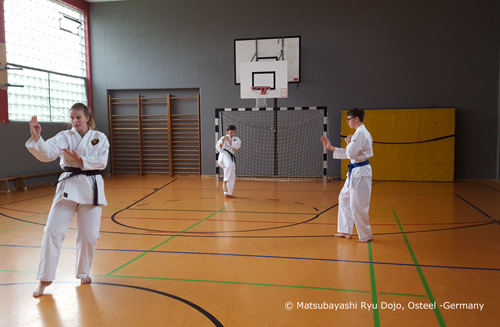 The event commenced at 0600 just before sunrise with a welcoming speech from the Yomitan Village Mayor Ishimine san and words of encouragement from Arakaki Toshimitsu Sensei 10th dan instructor in Matsubayashiryu karatedo. Then we all completed one performance of Fukyukata Ichi kata together before starting our 100 kata of choice. 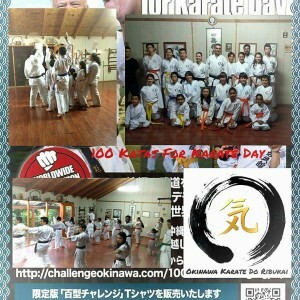 Each participating dojo successfully performed their chosen kata 100 times within two hours. 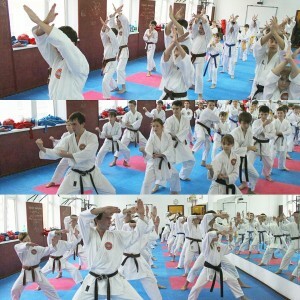 It was a truly wonderful atmosphere there on that sunny morning as we all worked hard and sweated together. 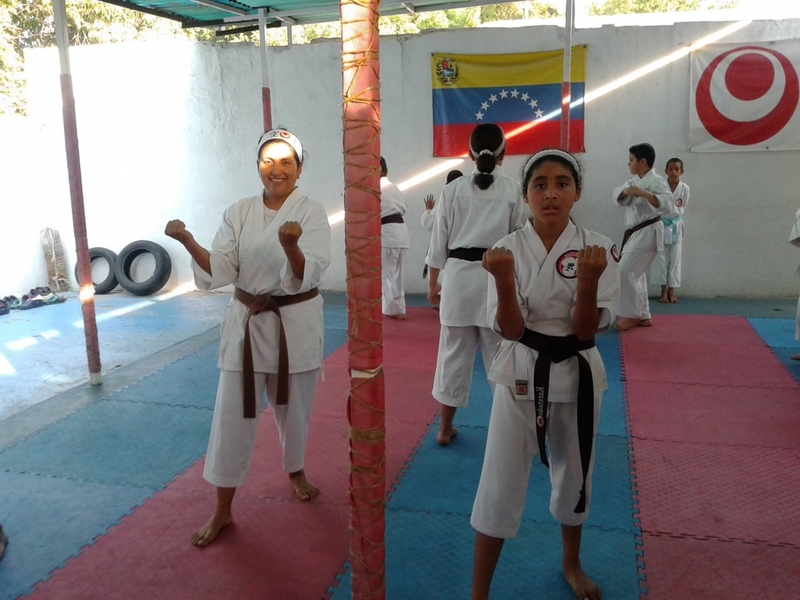 Even some of the children stuck in there and completed the full 100 kata showing real determination alongside the adults. They did amazing well. At the end we all congratulated each other and promised to come back together again in 2015 and do it all again! And around the world thousands of people joined each other in the challenge and shared in the achievement. 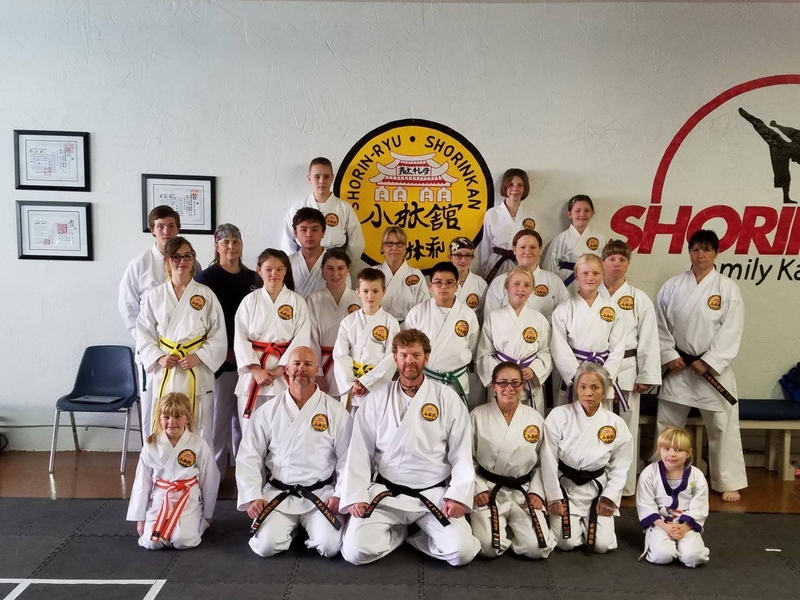 As they say in Okinawa – ‘Ichariba chodei’ , “once we meet we are all brothers and sisters”, and on Karate Day we all came together as one big family taking the challenge together. 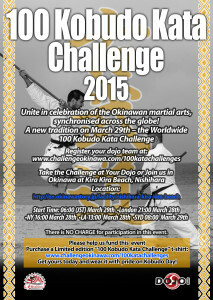 Outside Okinawa more than 5000 people in over 300 overseas dojo joined the Okinawa participants in this simultaneous event. 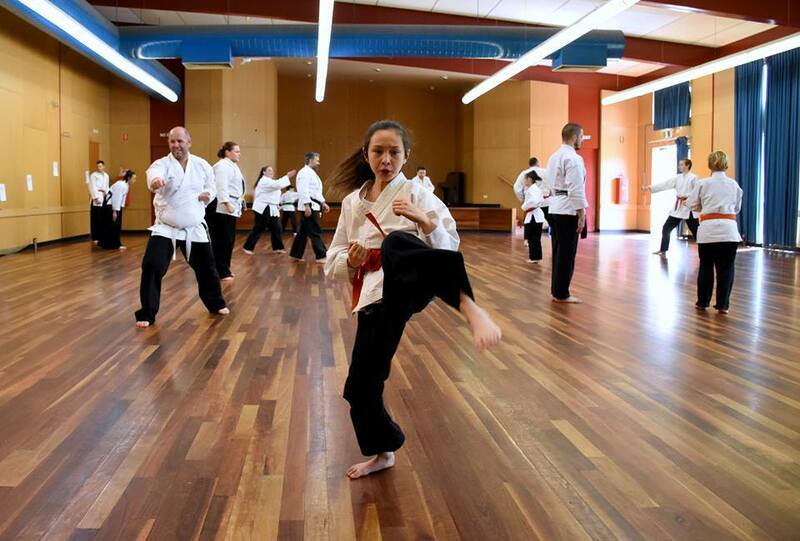 View the 2014 Karate Day Challenge participants list here. Pictures and video of their events came streaming in afterwards. Please take a look on our gallery page and our Facebook site. 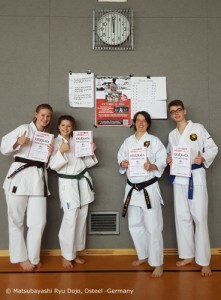 The moments after we completed our 100 Kata! Great memories and inspiration for the next one in 2015! 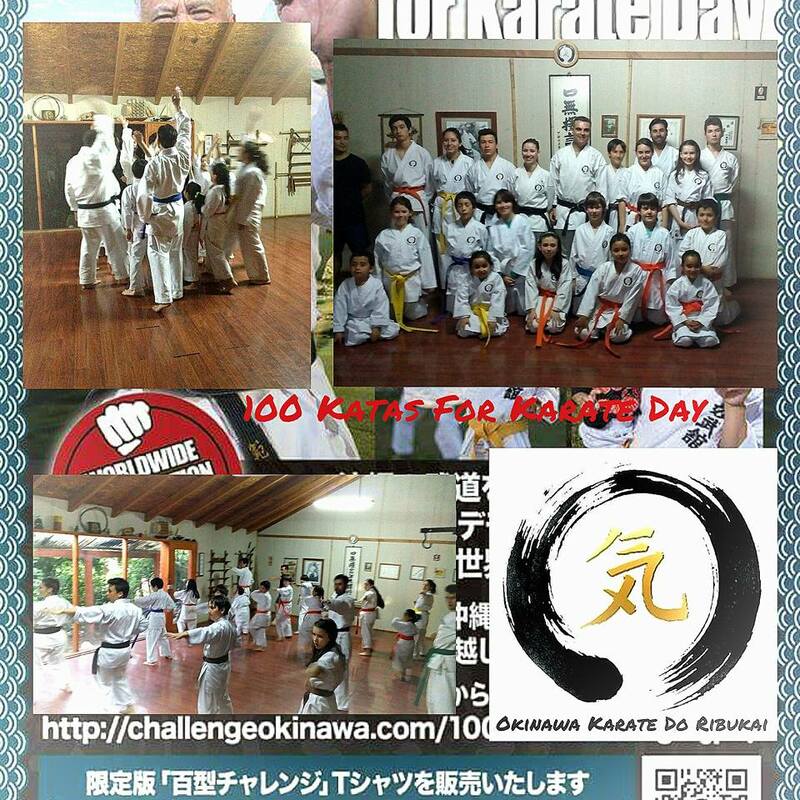 The 100 Kata for Karate Day 2014 event was generously supported by local sponsors to whom we are very grateful. 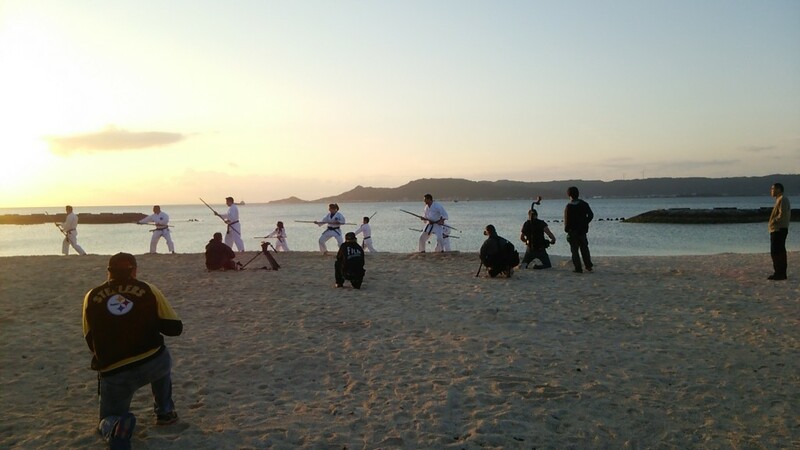 With their support we were able to stage the event in a wonderful historic location in Okinawa and share and coordinate this event with participating dojo worldwide. We would like to thank in particular Mayor Ishimine of Yomitan Village for his support, Zuisen Distillery Company and Jahanakippan for their generous support, and the DOJO Bar and Challenge Okinawa staff. We were also very lucky to have the support of two very talented local professionals to capture the event in pictures and video. I can’t recommend Chris and Adam highly enough and hope that you will take a moment to visit their pages and see the fantastic work they both do. 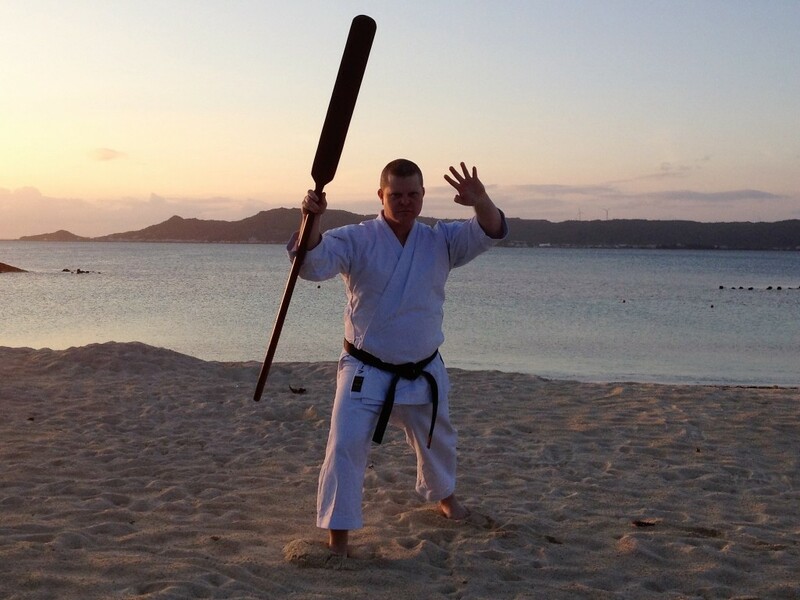 Chris Willson is a travel writer and photographer who has lived in Okinawa for many years. Chris specializes in capturing iconic images of Japan. For nearly a decade he has traveled extensively around the country, from the cobbled streets of Kyoto to the neon lit alleyways of Tokyo, from Hokkaido’s snowy peaks to Okinawa’s tropical beaches. 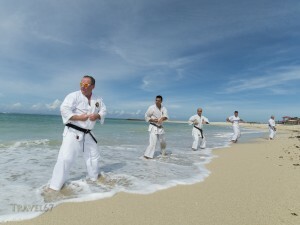 In the karate world over the past 2 years, Chris’ portraits of Okinawan karate and kobudo masters have become famous and have been shared many many times and featured in a number of different websites and publications – visit his website at www.travel67.com or find him and the Karate Masters Portraits Project on Facebook and Google+. 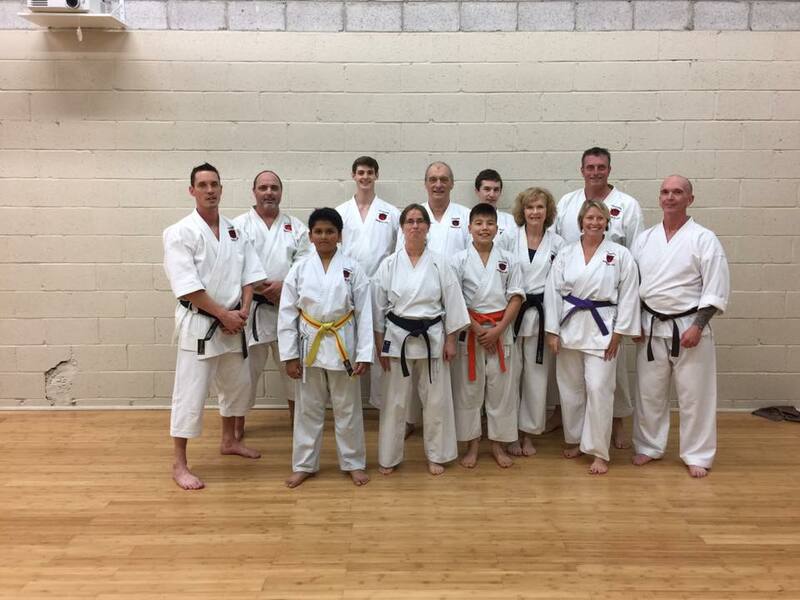 2016 100 Kobudo Kata Challenge: Sunday April 3rd. 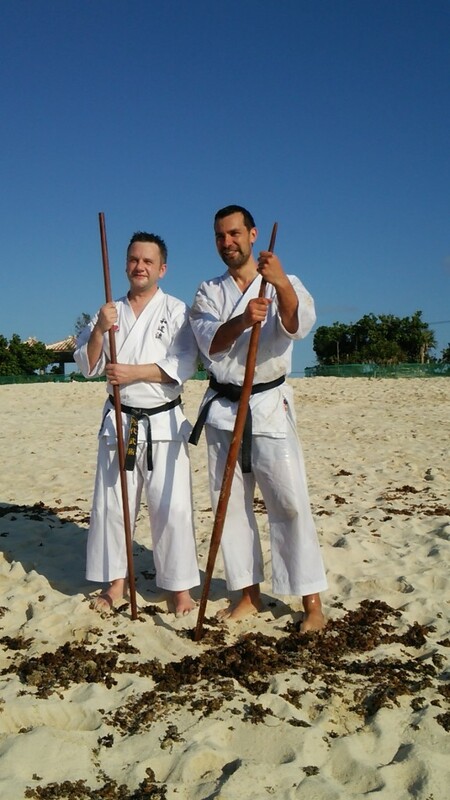 The 2nd annual Worldwide 100 Kobudo Kata event and Beach BBQ Party. 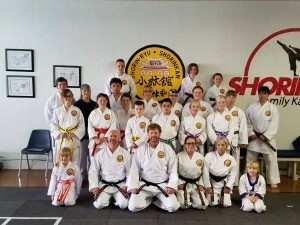 Inspired by the global popularity of the first 100 Kobudo Kata event in 2015, we continued the tradition this year on April 3rd 2016 for the 2nd 100 Kobudo Kata Challenge. 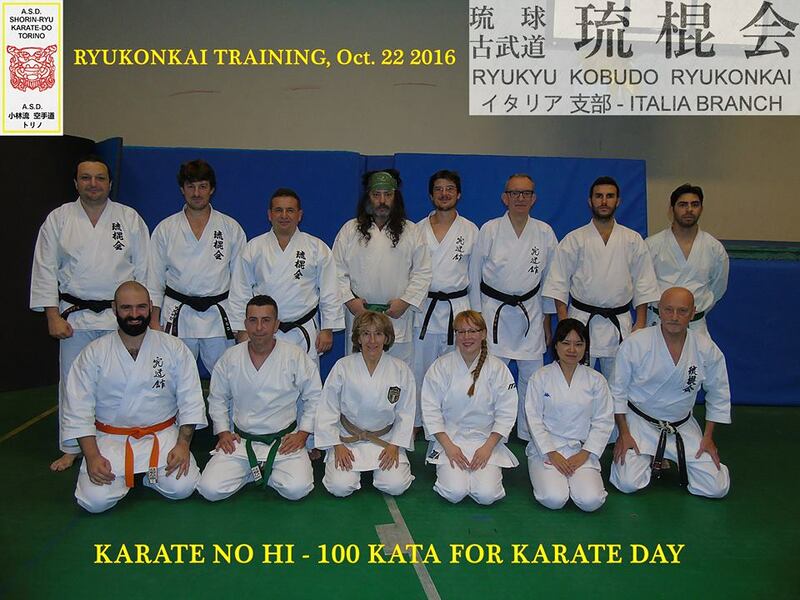 The event consisted of performing 100 kobudo kata in sequence starting at 1500 Japan time April 3rd, or your local timezone equivalent. 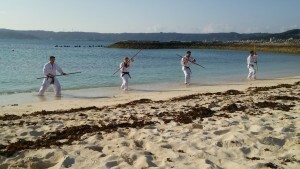 In Okinawa at Toyosaki Beach in Tomishiro city, we had around 90 attendees from Okinawa, the USA, Canada, Denmark, the United Kingdom, Slovenia, Switzerland, Germany and France. 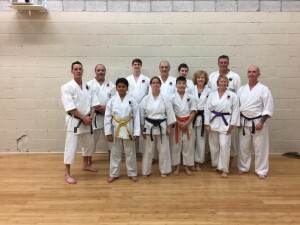 Several different styles of traditional Okinawan kobudo were represented and we were honoured to have a number of local masters in attendance including Arakaki Toshimitsu sensei of Matsubayashiryu, Akamine Hiroshi sensei of Ryukyu Kobudo, Tomoyose Hidemi sensei of Ryukyu Kobudo and Yogi Jyosei sensei of Matayoshi Kobudo. 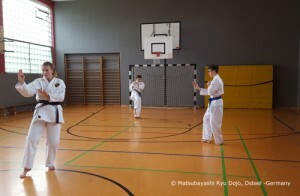 Kata performed included bo kata, sai kata, kama kata and nunchaku kata. We used the sand beach area and the nearby grass park and were very fortunate to have a number of friends and family join to support the attendees and take pictures. See our gallery for some shots from the day. We also enjoyed a beach BBQ party which was open to all participants, friends and family of the event. 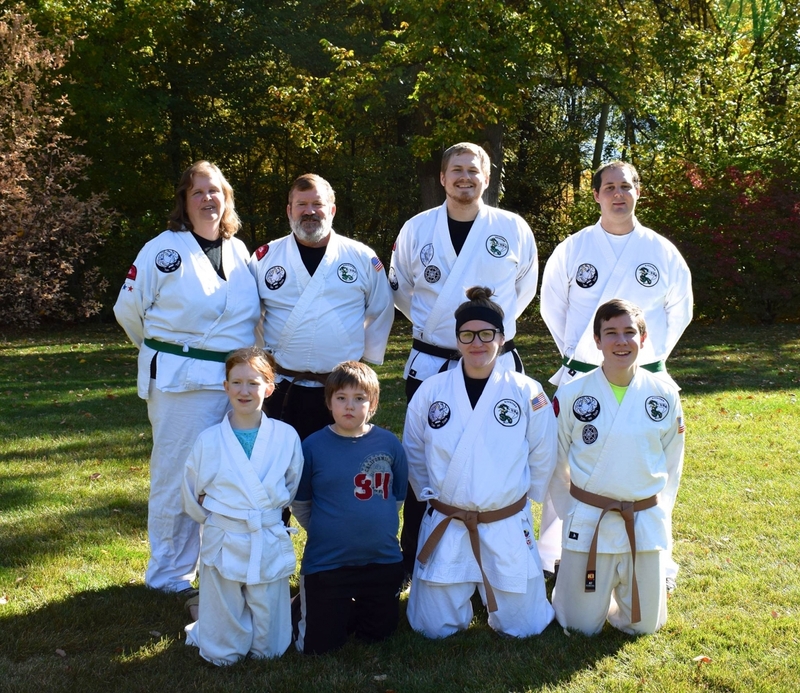 It was a fun event with lots of games for the kids and adults alike. Many thanks to the DOJO Bar staff team who worked hard at the grills cooking up a very tasty feast for everyone. Thanks to Sanae, Jun, Yoshi, Emilie and Yuri in particular. 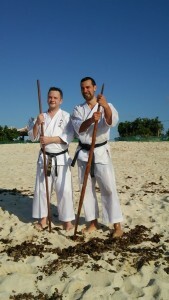 On Okinawa most karate masters also practice kobudo as an important component of their budo skills. 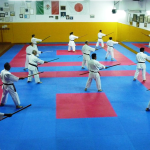 Since ancient times skill with weapons has been regarded as an essential part of budo training. So even if you don’t practice kobudo yet we encourage you to try the challenge and get your first experience of traditional kobudo practice alongside thousands of others around the world. We hope that this event will help to encourage more karateka and other martial arts practitioners to take up kobudo practice too. Its an excellent compliment to any other martial arts study and great fun to do. And to help you start even if you don’t have access to a kobudo teacher near you, we have posted a kobudo kata instructional video for bojutsu (long staff) on this page for you to practice before the 100 Kata event. 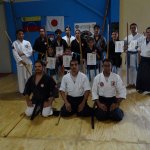 To continue your kobudo training we recommend you find an experienced teacher locally, or visit Okinawa to train with a master here. 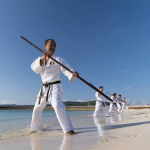 Please contact us for introductions to local Okinawan teachers and assistance in arrangements to travel to Okinawa. To see a list of all the people who have signed up for the challenge so far, please click here. Click on the thumbnails below to visit the gallery. Click on the image to visit our shop! 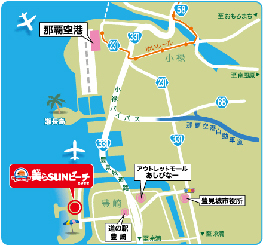 CHURASUN Beach on Google Maps. CHURASUN Beach on Google Earth. 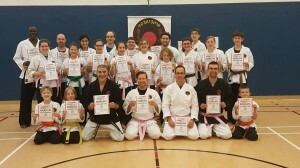 Inspired by the global popularity of the 100 Kata for Karate Day 2014 event we added the first 100 Kata Challenge event on March 29th 2015 – The 100 Kobudo Kata Challenge. 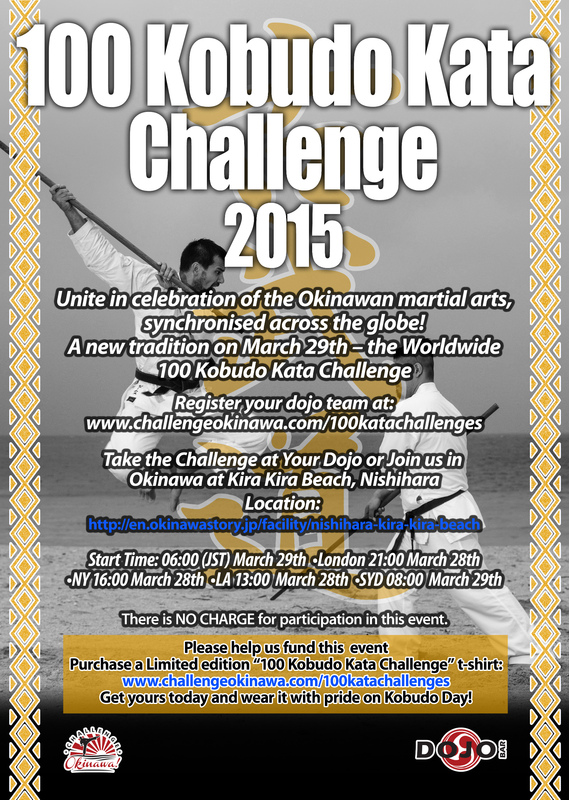 The event challenge was to perform 100 kobudo kata in sequence, starting at 0600 Japan time March 29th, or the local timezone equivalent for other locations around the world. 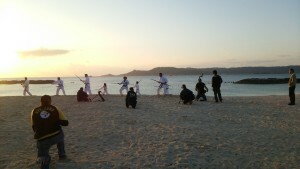 In Okinawa we gathered a group of about 30 kobudoka from various local dojo and started the challenge just after 6AM with the first dawn light. On one side we had a group doing Shiromatsu no kon bo kata, then a group performing sai kata and also a small group doing eku kata. We progressed quickly through the first 10 repetitions and on through 20, 30, 40 and hit 50 faster than we expected. 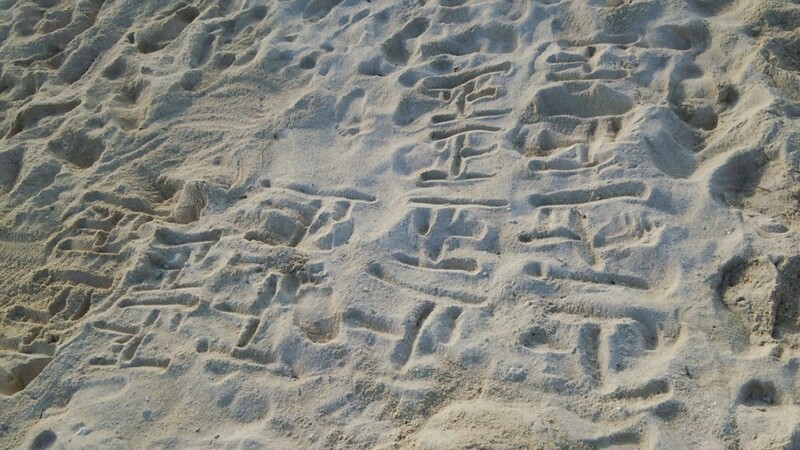 As we progressed through each rep we marked another line in the sand, using the Japanese method of counting 5 reps by drawing the kanji character for “tadashi” (which means “correct” and has 5 strokes). 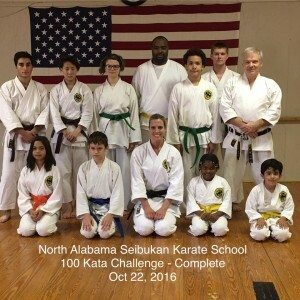 Once we hit 50 reps we definitely got a second wave of energy and we were set in a smooth, fast rhythm as we sailed through the kata repetitions. 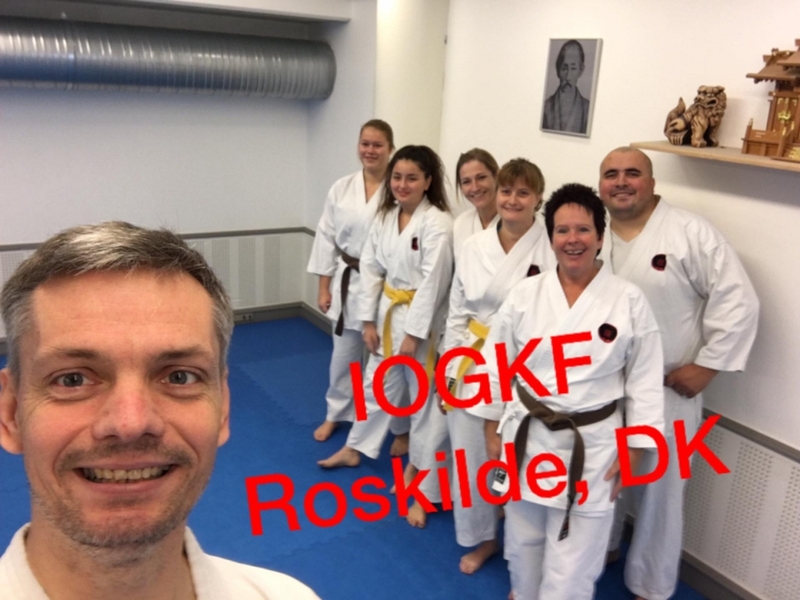 Its both exhilarating and energising as you tend to stop thinking too hard about the kata sequence – that just comes naturally after 50 reps – and start enjoying the flow of the kata. 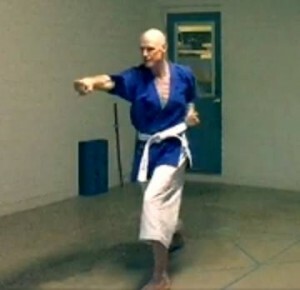 At this point visualising the kata application also seems to come easier and it definitely becomes more ‘alive’. You feel the energy in your body and the energy of those working hard to your left and right. The sun had started to rise over the sea to the east by 7AM. We were well past halfway now and it was a glorious feeling as the warm rays of sunshine hit our damp dogi. At this time I started to think about all the other fellow kobudoka around the world who were also fighting their way through the 100 Kata Challenge at this very same moment. 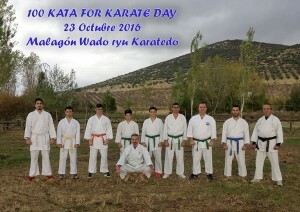 The knowledge of that gives you another boost of energy as you think of this international budo family united on this day. 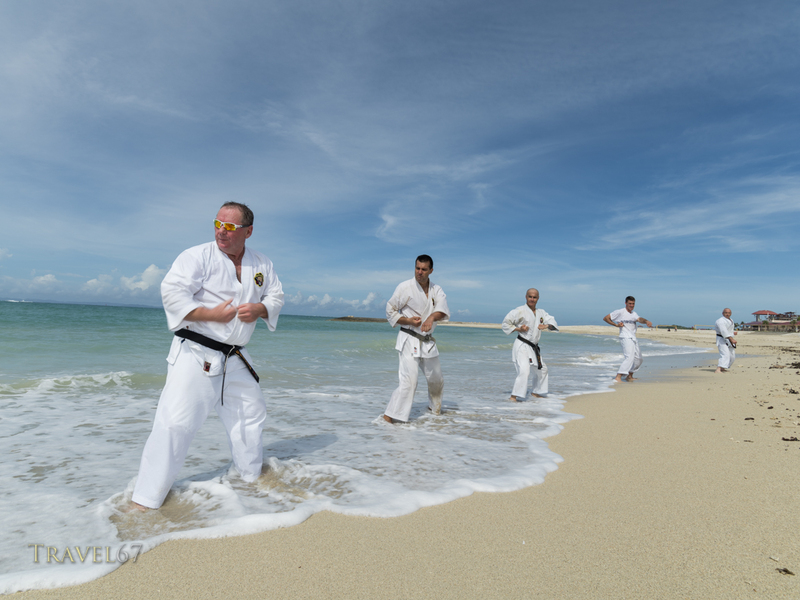 Then, as we got to 80 reps and the morning sun started to beat down, we moved into the surf line for the final few kata reps. Digging our feet into the wet shifting sand felt great as small waves lapped around our legs. Now the last 20 reps were all about having fun as we whipped the bo through the water and send it showering through the air. As we powered through the last 5,4,3,2 and final rep our kiai was strong on every move and everyone had smiles on their faces. What an amazing feeling of achievement and personal satisfaction! 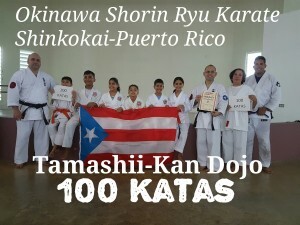 Great job everyone in Okinawa and worldwide. To see a list of all the people who took part in the challenge in 2015, please click here. 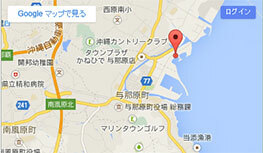 Kira Kira Beach on Google Maps. Kira Kira Beach on Google Earth.